Everyday Epic: Can a little bike store compete with the big guys for Black Friday? Can a little bike store compete with the big guys for Black Friday? Up to 20% off 2008 full suspension or carbon fiber bikes. For example $400 off on a Giant OCR C2. 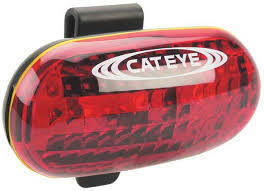 Free Cat Eye computer/light box set with purchase of any bike with 24" or larger wheels. Limitations: One free offer per bicycle purchased. While in stock supplies last. This can be combined with our Simple Layaway Program: 10% down holds the bike. You don't have to hide the bike, or put it together on Christmas Eve. And we don't charge any fees for layaway.